During this review, I will discuss with you Batman: Faces, written by Matt Wagner. Faces is third in this series, a follow up to Batman and the Monster Men, and Batman and Mad Monk, both published in 2006 and all a part of the Legends of the Dark Knight. Written two years later in 2008. 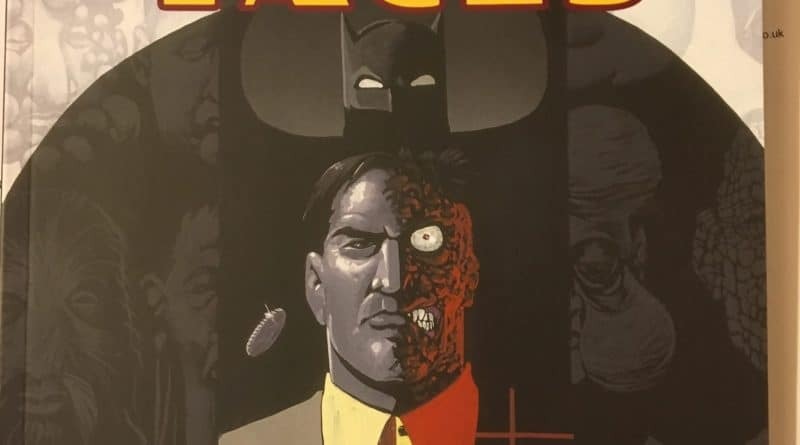 Batman: Faces is the short story of Harvey Dent (now fully Two-Face) , a District Attorney who as we all know by now has the left side of his face disfigured by acid during a court trial when he angers Gotham City Mob Boss, Salvatore “Sal” Maroni. As I’m sure we’re all familiar, it was after this that his insanity really began. 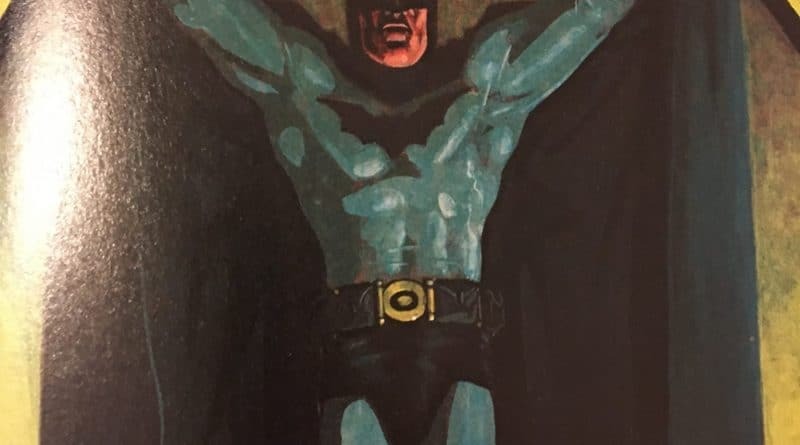 In the beginning, he has an ally in Batman. Batman still in his early years of crime fighting tries to save his friend from a spiral of downward destruction. 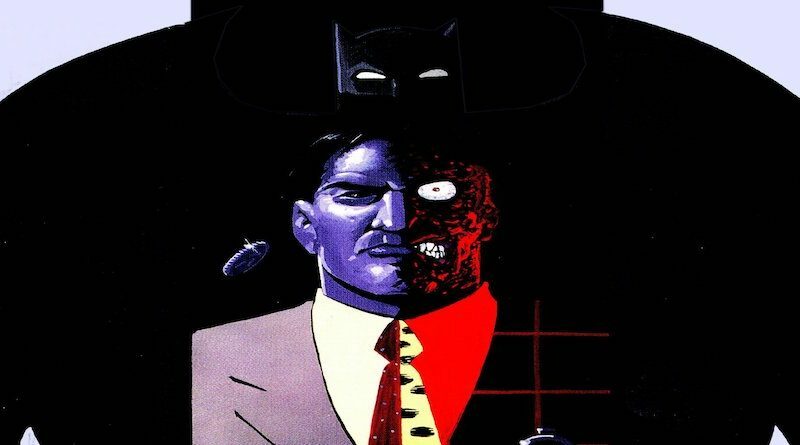 As the story continues, it appears as though Two-Face has no desire to change and ultimately the two end up as enemies. Illustrators include Willie Schubert who did the drawings and Steve Oliff, who did the colouring. After reading Batman: Faces, regular readers might start to wonder why Matt Wagner even wrote this novel in the first place. According to one reader found on a forum, it was pointless and a waste of time for Wagner to put pen to paper, or fingers to keyboard. And to be honest, I agree. 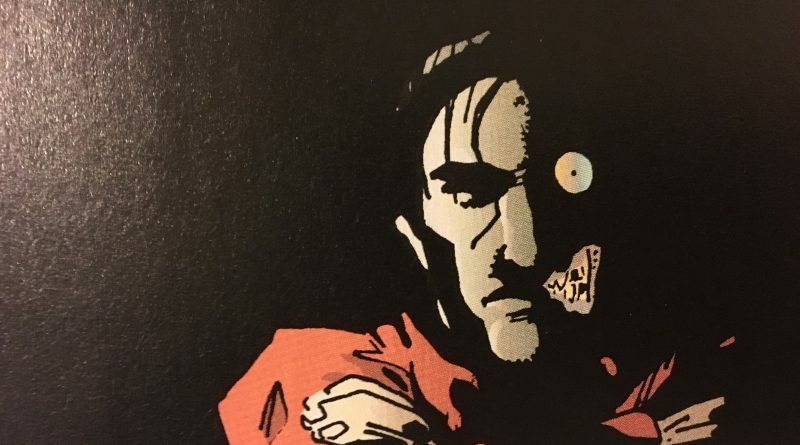 Wagner lets readers down when he turns Two-Face into a kind of parody character rather than the calculated yet unhinged character in other books he features in. He does this by trying to dumb down the intelligence of Two-Face and his motives/goals when in regular canon, Two-Face is closer to being genius. A psychotic, insane person, but ultimately an intelligent villain. Let’s switch gears and talk about the mental stability of Batman in Faces. Is he himself right in the head? Some would say no, he’s not. I was under the impression that Batman stood for nothing but good, but after doing quite a bit of reading Batman is as complex as the villains he is trying to stop and this tends to be highlighted a lot more in run ins with Two-Face. 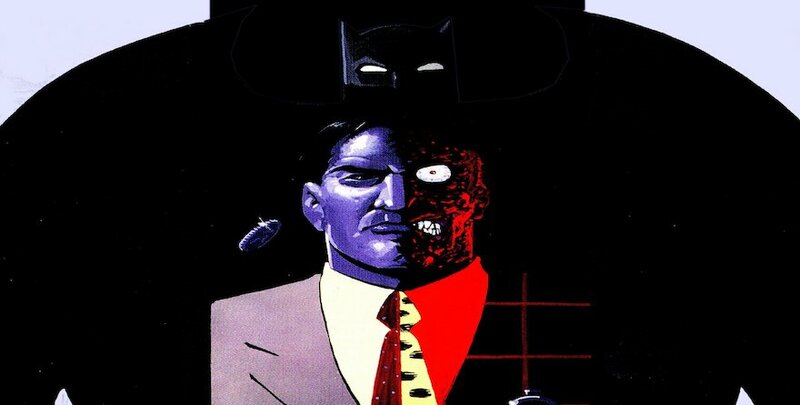 I find it ironic that Batman and Two-Face are so much alike. In the beginning they both live very normal lives, they are friends who should be supporting each other. In the mortal world, this is what we do. We bring meals, we offer comfort, and we don’t turn our backs on the ones we care about. We hope they would do the same for us. In the case of Batman and Two-Face, this isn’t the scenario that plays out. They turn against one another and become mortal enemies. In Batman: Faces, the two are in a battle to buy an island. Two-Face wants to retreat to the island, to escape mainstream society. He wants to bring along several “freaks,” with him. To a certain extent, this bothers me. I know someone who has a son with a disability and I have a circle of friends who also have children with disabilities. One young man lives a full life, he has a job, he drives a car and he lives on his own. 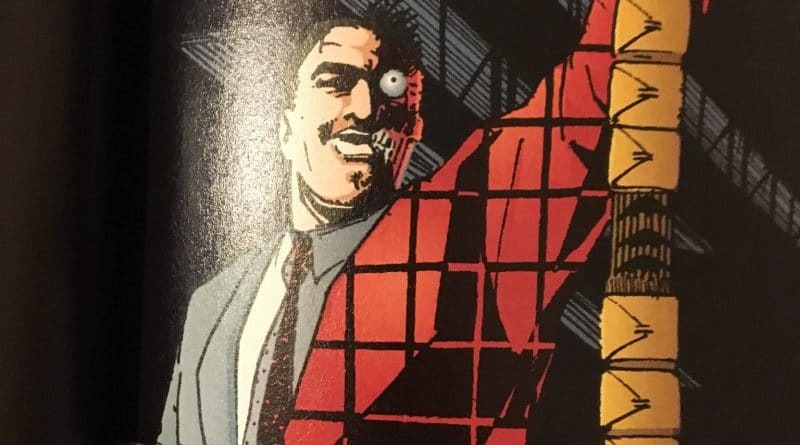 It is possible to live a full and complete while carrying the scars and burdens of the past but this doesn’t seem to be the case with Two-Face. His true personality appears to shine through after his accident. He will carry this weight with him for the rest of his fictional character life. 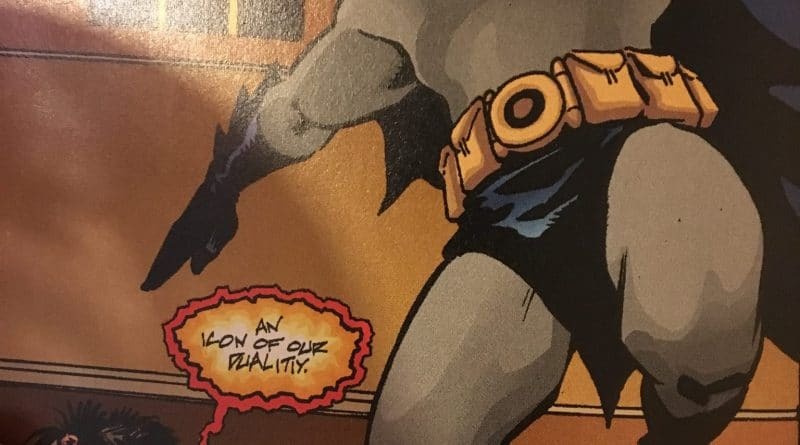 Batman: Faces disappointingly appears to look down at disability and that they should be moved somewhere else away from mainstream society-is this what Matt Wagner thinks and does he channel his opinion through Two-Face? It’s interesting that Batman and Two-Face are enemies fighting over the same piece of land. Had they been friends, would they have gone there together to escape? Unlikely. They both appear to be the “sideshow freaks,” that Two-Face kidnaps but this isn’t the twist that Wagner takes. Faces would take on a whole new dimension if Wagner had carried it in a different direction. In a way, hasn’t Batman kidnapped “freaks” with Robin, Batgirl, etc? This duality between the two main characters could have been fleshed out and explored but Wagner decided against it or simply didn’t think about it. It’s an awkward plot line that made me feel uncomfortable at times and even in hindsight I am a little concerned with the undertone surrounding the motives of the characters. We all know that Two-Face is a two- dimensional character. Aside from the obvious: his face, his clothes and his coin, Wagner does nothing to develop the personality of Two-Face. He seems to be a laid back villain in a laid back novel and this is where I believe Faces begins to lack depth. Wagner’s novel was also described as boring, terrible, and rather predictable by other reviewers. Wagner gave the impression that he wanted Batman: Faces, to be read as a mystery. The real mystery is what he was thinking with some of the choices he made. 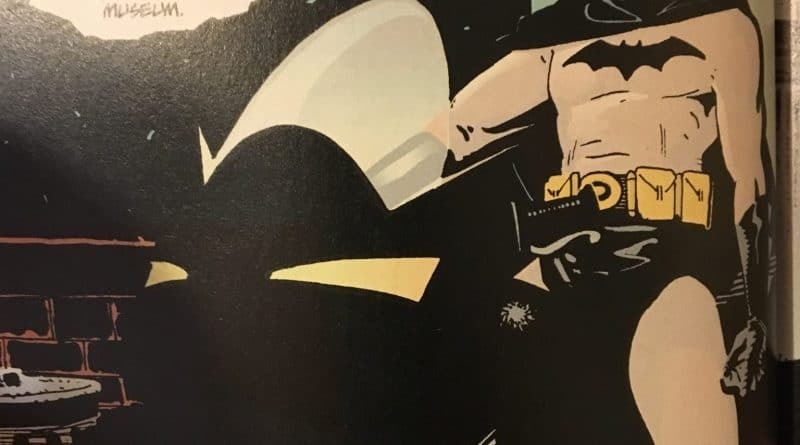 It was obvious throughout the book, however, that this wasn’t the case and there was no good mystery to sink your teeth into, not when you compare to other mystery Batman books such as Hush or even Batman Vs. Robin. It was also, for some reason rushed. On a positive note, Batman: Faces has also been described as a half-way decent book, even with only three issues. One might describe Harvey Dent the same way. As far as the artwork is concerned, the cover stands out to me. Schubert does an excellent job combing the two main characters of Wagner’s story. He makes Batman appear larger than life, while Two-Face appears to play a much smaller role, exactly what Wagner intended. Take a look into Batman’s eyes, for some reason, they send chills down my spine. They almost frighten me. Oliff uses a wide variety of colour when filling in Two-Face. Each side of his face is a different colour, each side of his outfit is a different colour. He didn’t use just two shades of purple, or green, or red, he used a combination of colours. In my opinion, Oliff did this to bring out the many facets of the character he coloured. Two-Face seemed rather unpredictable, the colours are a reflection of this. 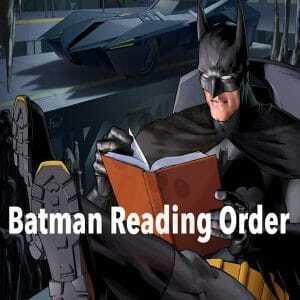 Overall, Batman: Faces was a good book, an easy read. The positives outweighed the negatives. To summarize Batman: Faces, it was a poor book, an easy read but not captivating at all. It receives 2.5 stars out of five from me. I hope in his next attempt Wagner won’t be in such a hurry to finish his next story.